[Update 10/10: Comment from course-setter about Long DSQ] Simona Aebersold dominated the Junior European Cup (JEC) on homeground in Switzerland with very clear victories both in Middle and Long – and also deciding the Sprint Relay for Switzerland. The Aebersold-family did not stop there, however: Younger brother Fabian also took a JEC Gold with a clear victory in M18 on the Long distance. Other victories went to Norway (2 Gold), Finland (2 Gold) and France (1 Gold). Switzerland took the victory in the team competition. Update 10/10/1018: See comment from course-setter Long about the DSQs in the comments including (very unofficial) results Long with all runners who ran through the forbidden area removed. This was the first time a Sprint Relay was included in JEC – just as the IOF has just decided will also be the case in the Junior World Championships (JWOC) in the future. 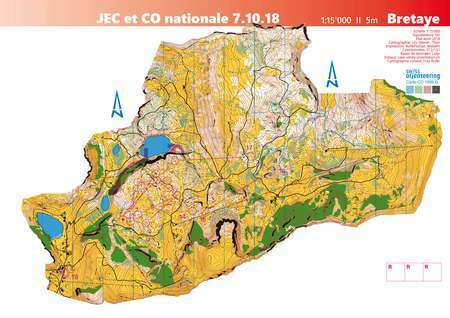 Also the mass start format for the Long distance on Sunday at JEC was new, but in JWOC there will still be individual start on the Long distance. In the Sprint Relay Switzerland was down in 5th spot at +0:21 after three legs, but a fantastic run by Simona Aebersold on the last leg secured Gold for the Swiss first team. Another Sprint nation, Sweden, finished second – 40 seconds behind while Norway finished 3rd. France was in the lead after 3 legs, but lost a lot of time on the last leg. The Middle terrain was tricky and very hilly, in a terrain where the runners often chose to run quite far around. The start was high up in the terrain, so this was mostly downhill orienteering. Swiss Simona Aebersold was again the woman of the day with a 2 minute win on a very short (20 minute winning time) Middle in the W20 category. With medals to Denmark and Austria and 8 different nations represented in the Top 10 in W20, this was truly an international competition. In the M20 category Norwegian Eirik Langedal Breivik took the victory ahead of two Swedish runners. M18 and W18 was won by Arttu Lindqvist (FIN) and Cecile Calandry (FRA). The long distance was a mass start with the forked part in very detailed, open terrain – and some interesting routechoice legs in the last part of the course. 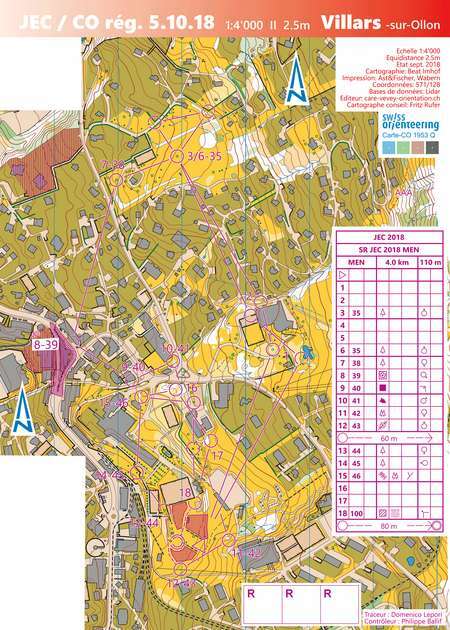 This race will mostly be remembered for the fact that half of the start field ran through a forbidden area towards the end of the course, and the jury following jury decision: Instead of disqualifying significant parts of the startfield, the jury decided to use the result at the second last control as the final result. This was a quite controversial choice, especially as this was a mass start race where runners typically could have good reason to not be in the lead out of tactical reasons. For Simona and Fabian Aebersold their victories where not influenced by the forbidden area. They both took the legal route, and where both far ahead of their competitors (Simona more than 5 minutes). In the other two classes the jury decision led to bigger changes, with Norwegian Erling Hjermstad and Finnish Maria Määttänen taking the victories. Next Course of the Year 2018: Submit your suggestions! One big drawback of this type of the race (mass start one man relay) was that there were lots of runners supporting each other and discussing throught the race. That both distracted the others and annoyed those who don’t have so many runners in the top. I heard opinions that it is „unoficcially allowed”, however in my opinion it is just a discrimination of runners from weaker nations and also a thing against the fair play (one nation may draw the leg order so that there are 4 runners running together). Disagree that the jury decision was controversial, for me it was simply wrong. The course print and the rules are very clear. All runners taking the road through the forbidden area should have been disqualified. Full stop. 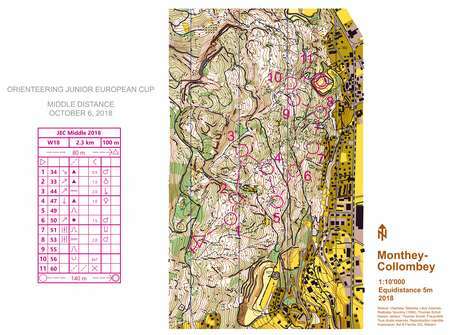 Not the organizers’ fault that several junior national team runners don’t know the rules or symbols we use in orienteering. 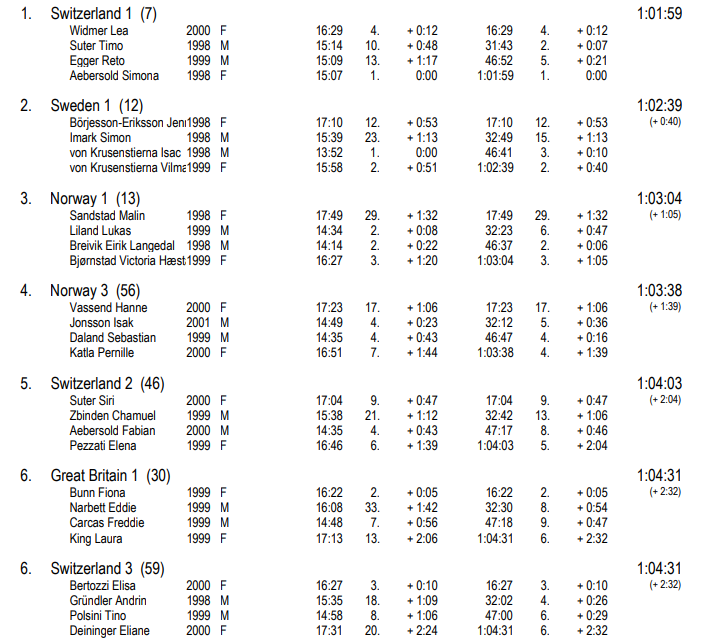 In M20 Norwegian runner E. L. Breivik was robbed from a second JEC gold, all jury members ought to send him a personal apology. It is unbelievable that the break of the clear rules was not sanctioned. It is incredible that the forbidden road was without control crews of the distance and video recording. At the same time, it is impossible to disqualify only parts of stupid runners with GPS units and pass violators without GPS. I of course agree with you that the organizers should have both had control crew and blocked the entry to the road physically with plastic ties. They did a mistake. Still, the fact that you may not be able to disqualify all runners who runs illegally must not stop you from disqualifying those you know did something wrong. Through talking to the runners, most of them were running in groups, and leaders, some must have seen runners coming down the road to the arena area and analyzing the leg times it is possible to identify almost all violators. If after that exercise a single person would be able to lie himself (or herself) to an undeserved 12th position or something so be it, the results would have been much more fair than those now being official. This should have been done! I suppose it looks embarrassing for the organisers if half the runners are disqualified. But the map was clear. The problem is that finnish twitter discussion displays wrong pictures with black colored road! In original, pleas, see all in the end of article: http://guedels.ch/karten/show_map.php?user=T%C3%A9rence&map=2087 it is more than clear that there is an overprint and no legal crossing way for forbidden area! All who grab medals they do not deserve has to give them back as soon as possible and all results must be cleared according to IOF rules. 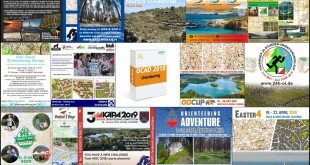 If there is a need of special IOF officials decision- this is the case when You can prove that Your existance is not just vasting of time but real input into the World orienteering society! Well there’s the origin of the problem in a nutshell. A championship competition should be exclusive and not messed up with, or have to relate to, other things going on at the same time. With taped area and surveilled road through it none of the following devestating jury decisions would even have to be considered. I don’t think that was the main problem. It rather has something to do with following tactics during a mass-start race ie. 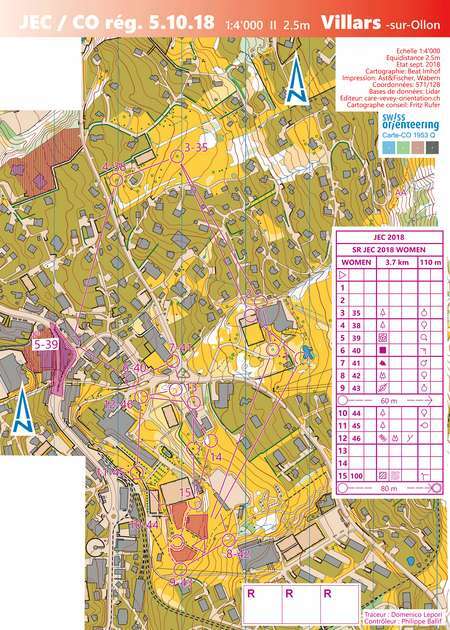 the runners alone in the lead did not cross the OOB-area and read the map more carefully. Of course if you are the last runner in the group and everyone else crosses the OOB-area it’s harder to change the route. I strongly disagree with the coaches overall position on not disqualifying runners because “it’s the end of the season- should not start with a bad feeling” and “it’s only JEC”. What kind of message does this send to the runners? It’s ok to cheat, as long as enough runners do it too? In my opinion the only viable option is to to disqualify all 70something runners. That would have been a way better learning opportunity. Afterall it’s “only” JEC. Well, there’s many problems with what happened. But I point out the origin one. If the forbidden area had been taped and the road surveilled none of the following problems would occurred as I see it. And that’s my whole point – don’t have something else going on simultaneously that force you to make compromises on how to create the best conditions for the actual championship races. Interesting twitter conversation among Finnish experts on the race. My conclusion: All races should have been voided due to the organizers mistake. Thanks for the link. From what Google Translate tells me (which could be wrong, of course), it seems that some conclude that this is the organizer’s mistake, but it is not a general conclusion from the discussion? From my point of view it is clear from the map that this road is forbidden, but of course marking in the terrain would have been beneficial. In english would be better! The marking of the forbidden area is not clear, it does not take into account printing effects. In these types of situations the fact that the road is also a forbidden route should have been highlighted. Jan: Some were of the opinion that it was a mistake of the organizers, and no one disagreed with them. But the main focus was the caveat of having routes (roads) going through forbidden areas and how to make them as clear as possible on whether the route is allowed or not. first, for clarify, no jury decisions were taken, simply beacause there has not been complaints. The coaches have been called, and the situation explained by the race director. For some it was clear that the route was not allowed, for someone else it was not. I asked if that route was surveilled, and it was not. So, it was impossible to disqualify all runners, but only base the disq. on gps, for those 15 of 60 who run with gps. In the end all the coaches agreed to neutralize the race at the second last control, instead of having a void competition. 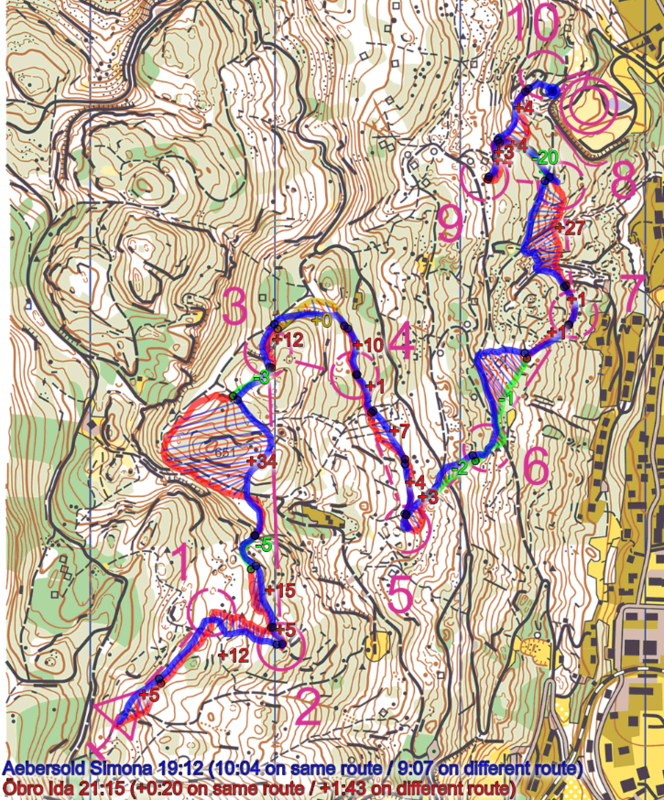 I think that, as Jan said, they could just let us see the image of forbidden area at TOM, but controls on the terrain are necessary anyway, otherwise everything is left to the fairplay of runners. That’s interesting! No jury decission? The live broadcast referred to a jury meeting, and later on that the team officials where asked to meet with the jury. But still it was an organiser decission? Even though they (the course setter with help from other organizers, i.e. the organizer) had a complete list of who passed on the illegal route? Without complaints, the jury was not called for a meeting, and no teams made an official protest. I asked to event director and he said me that there was no officials there taking the list of runners using that route. It’s not possible to use split times or gps as a prove…. You are wrong. We had the list. I was at the meeting and that was a major problem. There is an objective list of all to be disqualified runners. This list confirms the course setter story. Some key points. W20 No change in the medals, but highest percentage running illegally so that e.g. T. F. Hennum moves up from 24 to 6th place. M20 Almost complete reverse of the top positions, three of the top four should have been DSQ. I don’t really care if the result list is fair or not – nor indeed if there is a result list at all. What concerns me is that over 70 runners crossed an area marked out of bounds and what can done to prevent that from happening again. Does this mean that it is actually impossible to use the out-of-bounds area to forbid running on roads drawn with the black road symbols? From my understanding using the Out-of-bounds route symbol (the crosses) is the only clear way to mark a forbidden route on a road. I really would like to understand the rules here. Maybe someone can explain them to me? I have tried to understand the ISOM2017 on this point. MY interpretation is as follows (I might be wrong): A passage though an out-of-bounds area (actually then the gap between two OOB areas) should be at least 0.4 mm (at 1:15 000) according to the ISOM2017. This is specifically mentioned for symbol 520 (olive green), but should also be vaild for the overprint version, symbol 709 (purple hashes as used here). And the distance to any other object except for contours should be 0.15 mm (still at 1:15 000). So there should have been at least 0.4 mm gap in the OOB area, and at least 0.15 mm from the OOB’s to the road on each side. Magne, wonderful! These are very good notes! Thanks, Magne! I wasn‘t fully aware of the rules for the gaps. It is definitely a problem for the sport if rules are ignored. (The Finnish twitter discussion actually start by stating that the decision to establish a result list based on a part of the race is not allowed in the competition rules.) To me, the reputational risk of the sport, i.e. how we’re seen by the outside world, is bigger than a fairness risk, which has to do with how we conduct internal affairs. That is why respecting out-of-bounds is so important, as it enables us to keep good relations with landowners and authorities. It is not clear to my why this area (including the road) was out of bounds. But, in general, it is not good course-planning to introduce artificial “out-of-bounds” for the sake creating (or forbidding) route-choices. I know it has happened even at WOC-level, but it is still bad course-planning. I dislike it in sprints but absolutely abhor it in forest races. The task of the course-setter is to avoid forbidden areas, not create them. Not every situation can be resolved with a mapping standard. (The comment in the Finnish tweet is actually saying only that it is very difficult to map this situation with several dark colors and overprinting legibly.) Sometimes you have to avoid the problem, especially if you know there may be a problem, altogether. There seems to be a lack of clarity of the “due process” here and I have witnessed it on national levels as well. I do not know what information is given to organisers of international event, sometimes the SEA has an active role in taking decisions, sometimes the jury takes decisions even before a protest. This should be clarified in the rules, the process should always be documented and in addition we would need an archive of jury decisions (prejudicates) from international events to know the interpretation of the rules. Can anyone clarify with confidence whether the final decision was made by the jury or the event director. Why would the organizers not disqualify the participants noticed in the violation and wait, would there be protests, and then act according to the procedure? Or did the organizers (event director) wanted to save face? Disqualification of violatings or canceling the race (if the organizers make a mistake). But do not invent new rules. This is a disruptive decision. No jury decisions were taken, simply beacause there has not been complaints by any team. The coaches have been called (I was among them), and the situation explained by the race director. I asked if that route was surveilled, and the race director said it was not. So, it was impossible to disqualify all runners, but only base the disq. on gps, for those 15 of 60 who run with gps. Tahk you, Cristian for your tips. 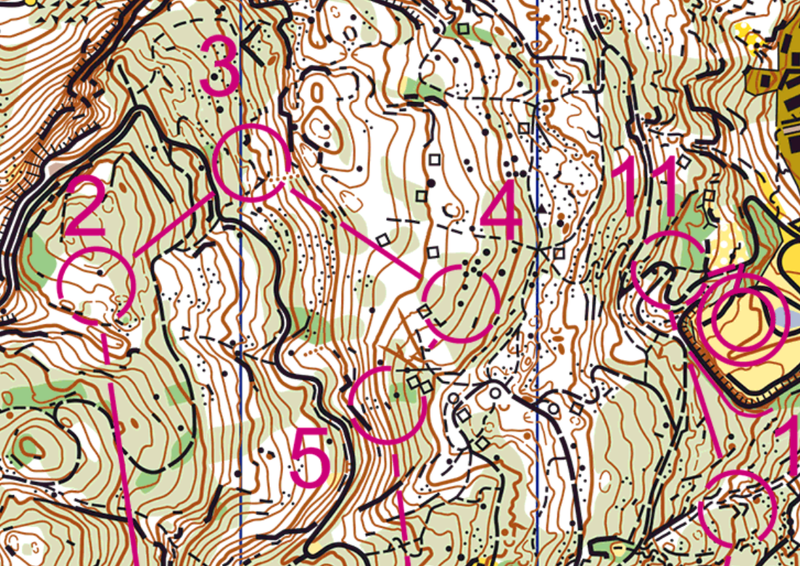 But what about list of the participants noticed in the OOB by the course setter? This list included 73 of 246 runners. Is this a sufficient basis for disqualification. Suppose there are not all participants who was in OOB, but there are many leaders and final results could be much fairer than there are now. 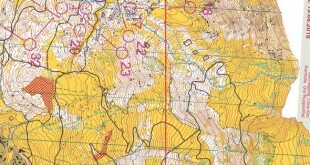 Can we (behind the computers) tell 100% that from this scan of the competition map (http://karten.guedels.ch/show_map.php?user=T%C3%A9rence&map=2088), that OOB applies for the road? In my eyes the overprinting effect (according to ISOM 2017) leaves no visible purple on top of black? What about runners in high speed? A good and fair race needs a clearly understandable map and based on the published map extracts this was not the case on this race. 30% of “stupid” runners is a sign that not everything was as clear as it should be. 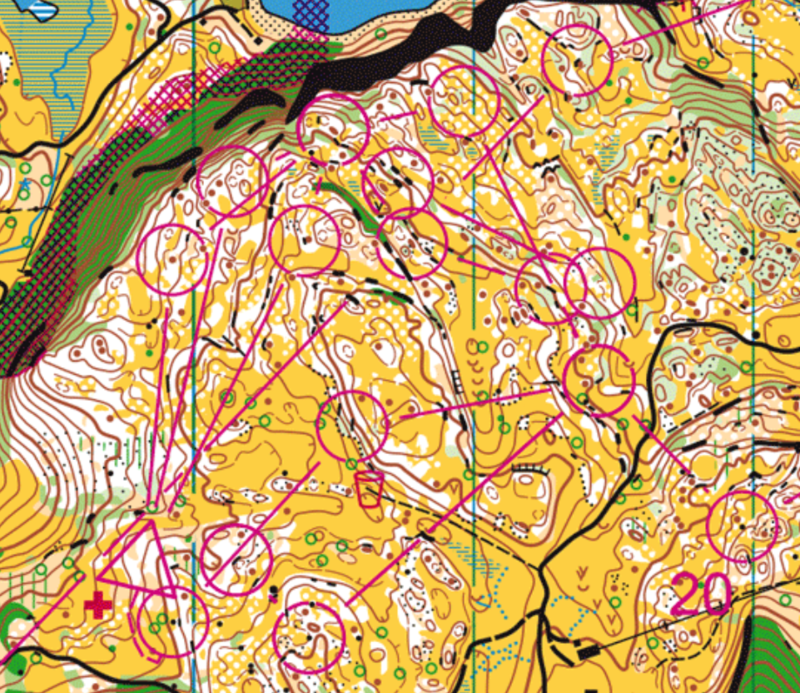 In a mass start race you can’t say that 30% of the runners didn’t understand the map, especially when the route choice was pretty much the last decision on the course. It could be that 5% actively decided to go that way, 15% weren’t sure but decided to follow because they didn’t want to lose out, and 10% were blindly following and waiting for the sprint finish. If I was given that map in a race I’d be in no doubt that the road was OOB. Why else is the overprint there – to stop me running through the dark green??? For the road to be a permitted route I would expect a clear gap in the purple overprint (the rules for black OOB stripes require this, and I don’t see how the same wouldn’t apply for purple). 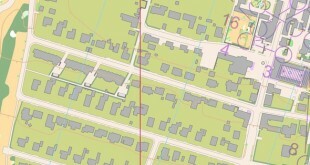 Also, if I think I can run along the road then the route choice problem becomes trivial and the run-in effectively starts 1.5km from the finish! 1) The purple line to the last control could be broken, bent or split so that it doesn’t intersect the OOB. This would reduce confusion caused by the gap in the overprint around the line, as well as emphasising that there is no way through the OOB. Splitting the line to reflect the two shortest legitimate options (ie past the small lake / through the taped gap 200m S of the start) would remove any ambiguity. 2) I agree with Karlsson that using “artificial” OOB to create route choices in forest O is a bad idea. It may be that route choice legs in this style are common in Swiss terrain, but in many nations it isn’t something you would expect to see. This may explain why a lot of people (both the runners and the online commenters) find it difficult to deal with. Of course the athlets have to follow the rules, independly if running alone or at the end of the group. But the course setter has also to provide the information, that it is possible to find out in an easy way, what is allowed and what not. Something to note is that the JEC isn’t an IOF event, so it won’t necessarily have taken place under IOF competition rules (which explicitly forbid declaring the result based on an intermediate control as was done here). I’m not actually sure who the sanctioning body is for JEC, but would have thought that unless a decision has been taken to do otherwise, the default rules would be the Swiss national ones. Personally, my position would have been to disqualify the offending competitors if they could be identified with confidence – by the time you get to a junior national team, it’s reasonable to expect you to know the rules – and to void the race if the offending competitors could not be identified. It’s a common misconception that only a jury can void a race – under the IOF rules (26.13), in fact, the organisers are required to do so if circumstances have risen which make the race significantly unfair.